This is to inform all Yobe State University Graduands from 2012 to 2017 that, the Maiden Convocation and 11th Anniversary Ceremony of the University is scheduled to take place on 24th February, 2018. In view of that, graduands are to collect their Academic gowns on payment of ₦500 at United Bank of Africa (UBA). 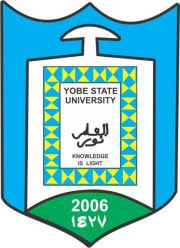 Read Also: Yobe State University Maiden Combined Convocation & 11th Anniversary Ceremony. a) All graduands are expected to sign for and collect their academic gowns from the Dean, Student Affairs Office. i) Graduands are expected to pay the sum of ₦500 into Account Name: U.B.A YSU Account Number: 1006400111, submit the teller at the University Bursary Department and collect a receipt for the collection of Academic Gowns, Order of Proceedings, Alumni Association registration and issuance of Certificate permit. Note that Payment receipt should be presented at the offices designated for the collection of the aforementioned items. ii) Collection of Gowns: Tuesday, 20th to Friday 23rd February, 2018.
iii) Please note also that Academic Gowns must be returned not later than Monday 26th February, 2018.
b) Graduands are requested to assemble at the Convocation Square on Saturday 24th February, 2018 between 8:00 A.M. – 9:00A.M. Graduands should note that they must be fully robbed and in queues according to their respective Faculties. c) All Graduands must wear the prescribed Academic Gowns. The Security Unit has been instructed to strictly enforce a “No Gown, No Entry” policy for graduands. d). Parking lots have been provided for use at the Venue. Guests are to park their cars in areas indicated on their invitation cards. NO GUEST (WHO SHALL BE IDENTIFIED WITH THEIR INVITATION CARD), INCLUDING GRADUANDS AND PARENTS/GUARDIANS, WILL BE ADMITTED INTO THE VENUE AFTER 9:45A.M. GRADUANDS ARE NOT ALLOWED TO LEAVE THE CONVOCATON VENUE BEFORE THE END OF THE CEREMONY. GRADUANDS ARE STRONGLY ADVISED TO COMPLY WITH THESE ARRANGEMENTS.